Our re-useable baggies are a great idea for a fundraiser for your school or organization! 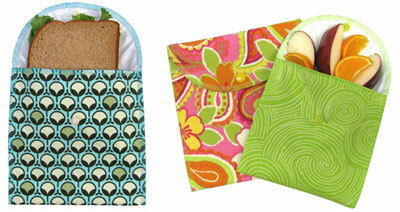 We make these in a variety of kid and adult friendly prints to hold snacks, sandwiches, or just about anything. Our baggies are made with a 100% cotton outer, a waterproof inner, and a snap closure. They are food-safe and free of lead, phlalates, BPA, and PVC. If you would like more information, please use the form below to email us or contact us by phone at (413) 253-0511.